We all know those moments. The electrifying seconds when the home team makes a goal, or bride says her vows, or the presidential favorite wins the election. The moments when an entire room full of people is feeling exactly the same way, at exactly the same time, because they share a common perspective. The emotion runs high because everyone is riding the same roller coaster of events, each new twist and turn causing fresh reactions. Our emotions are jerked like rag dolls. The result looks so synchronized, it could be choreographed. When we are all cheering for the same goal, both our bodies and our minds become synchronized. You throw your hands up at the same time as the rest of the stadium, and your brains are also doing the same thing. In each head, the visual cortex is processing the game, the motor cortex is holding up the arms, and the attention-controlling networks are riveting us all to the events as they unfold. And when you are rooting for the same person, the Action-Observation Network in the frontoparietal region of starts humming in synchrony with those around you. In fact, it is this neural synchrony that allows you to share a moment with others. That’s the implication of a study released in the Journal of Neuroscience. In it, scientists measured the blood flow to the brains of people who were watching a boxing match. 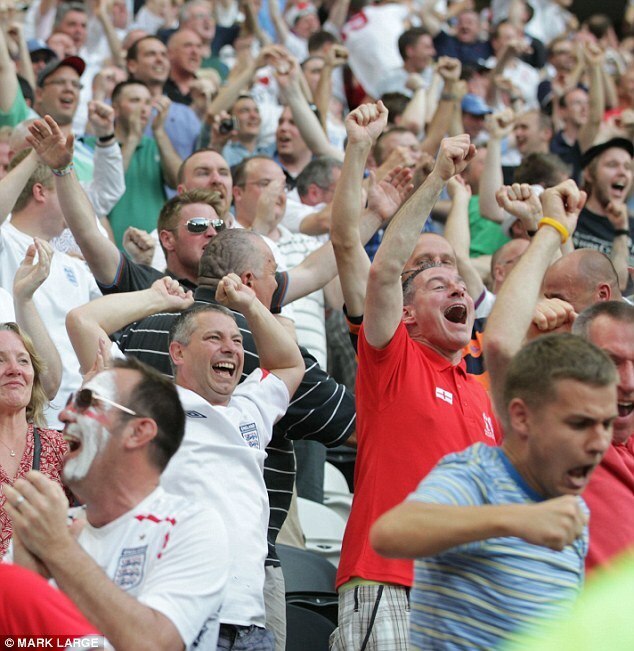 In some cases, the scientists told the subjects to watch the match as they normally would. But sometimes they told the subjects to watch the match while paying close attention to a particular boxer, trying hard to simulate in their own minds the actions and emotions of that boxer. When different subjects focused on the same boxer, their brains began to oscillate in phase with one another in the somatosensory cortex- the part of the brain that is responsible for the sense of touch. The somatosensory cortex also plays a big role in allowing you to mentally “mirror” the actions of another person, so that you can monitor them and understand their motivations. Importantly, the brain synchrony was bigger when the subjects were paying attention to the same boxer than when the subjects were just watching the video casually. It’s the attention to the actions and feelings of another that caused the brain regions to activate – because in large part, the brain uses the same area to understand the way someone else is feeling as to feel that way itself. This report is one in a long line of evidence suggesting that time-locked brain activity shared by individuals is the basic process that supports interpersonal understanding. Just think. All our moments of mutual understanding may depend on our brains being in sync with one another. Nummenmaa L, Smirnov D, Lahnakoski JM, Glerean E, Jääskeläinen IP, Sams M, Hari R (2014) Mental action simulation synchronizes action-observation circuits across individuals. J Neurosci 34:748–757. Categories: Original Research Blogging | Tags: emotions, Somatosenory Cortex, synchrony | Permalink. I just shared this with my counseling students– we spend a lot of time trying to “get” people. Tuning into others’ affective state by watching their physical actions, gestures, and expressions really works, as you say! (And keeps our own mind from wandering.) Thanks!